General Hospital (GH) tease that some Port Charles pandemonium is coming up. Some characters are digging deep holes for themselves and others have no idea that problems are looming. Regardless, major drama is brewing in PC. Here are four GH characters who are headed for trouble during November sweeps. First, let’s talk about the obvious one. Nelle’s (Chloe Lanier) lies are piling up and she’s looking guiltier by the second. The more Nelle deceives Michael (Chad Duell), the dumber he seems to become. Just how much is Michael going to take? Of course, Valentin (James Patrick Stuart) is the bigger threat. He recently gave Nelle a stern warning, but she managed to score some dirt a little later. That photo of Valentin and Cassandra’s (Jessica Tuck) kiss could come in handy or it could seal a grim fate. Valentin is not a man you want to blackmail! If Nelle dares to use that picture against Valentin…well, we wouldn’t want to be in her shoes. That brings us to Valentin. We have to acknowledge that Nelle does have the goods. Even if Valentin retaliates, that won’t mean much if Nelle has already cost him his family. Nina (Michelle Stafford) and Charlotte (Scarlett Fernandez) mean everything to Valentin. If their life together gets torn apart again, he’ll end up in an extremely dark place. In addition to the risks Nelle brings to the table, Valentin will face other concerns. Cassandra, Finn (Michael Easton) and Anna (Finola Hughes) could also play a role in Valentin’s potential downfall. General Hospital spoilers hint that Nina will have to make some tough decisions down the road. It sounds like Valentin’s future is in jeopardy. Steve Burton’s (ex-Jason, Patient Six) Port Charles comeback will bring another round of chaos. The clinic could still be a problem since Dr. Klein (Gene Farber) will try to undo the damage soon. Patient Six will have to watch out for more thugs! Of course, doubts about Patient Six will also complicate his life. Even those closest to him may refuse to believe his side of the story. It’s safe to say Patient Six will find himself in quite a jam. Oscar has been living a fairly quiet existence since he arrived in Port Charles. That should change once his parents turn his world upside down. Oscar’s mother will likely cause issues, but it’s his father that could spark drastic changes. Once Oscar learns who his dad is, what’s next? Will this sweet teen turn into a dangerous rebel? 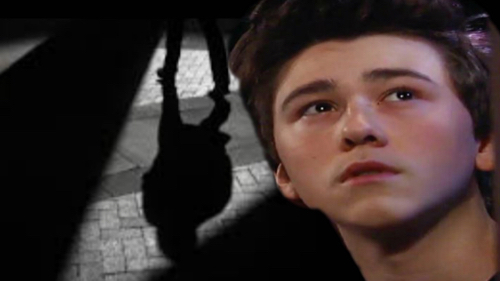 General Hospital spoilers hint that Oscar may indeed act out over his abandonment issues. He’ll struggle to adjust to his new normal, so let’s hope Josslyn (Eden McCoy) can help. There are other characters who will face trouble along the way, but these situations are certainly ones to highlight. We’ll give you updates as other GH news comes in. Stay tuned to the ABC soap and don’t forget to check CDL often for the latest General Hospital spoilers, updates and news.